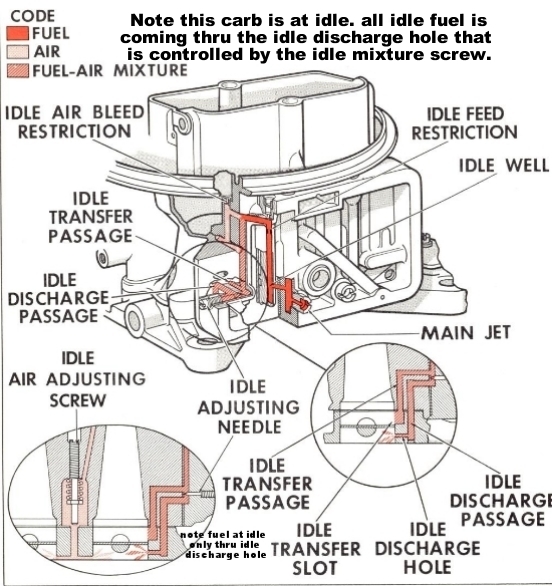 you might be amazed at the number of times "CARBURETOR PROBLEMS" are cured with getting the IGNITION, TIMING AND ADVANCE CURVE WORKING CORRECTLY, and check out the simply things your 100% sure you did correctly, because I can,t begin to tell you how many times I see guys who have the firing order on the ignition wrong, or guys that install a 4/7 swap cam and still use the standard ignition firing order or guys that never verify TDC and ignition advance curves. READ THRU THESE RELATED LINKs YES I KNOW YOULL WANT TO SKIP OVER THEM< BUT YOULL MISS A GREAT DEAL OF INFO DOING SO! I installed a GM crate engine in my 79 Vette a few months ago. The engine came with a 650 CFM Holley 4-barrel carb. During break-in, the engine seemed to run fine. I then had a less restrictive dual exhaust system installed on the vehicle. It was about that time that I noticed an off idle stumble, or flat spot, begin. At first I began adjusting the easy and basic stuff - timing, carb float levels, fuel/air mixture, vacuum advance ports. 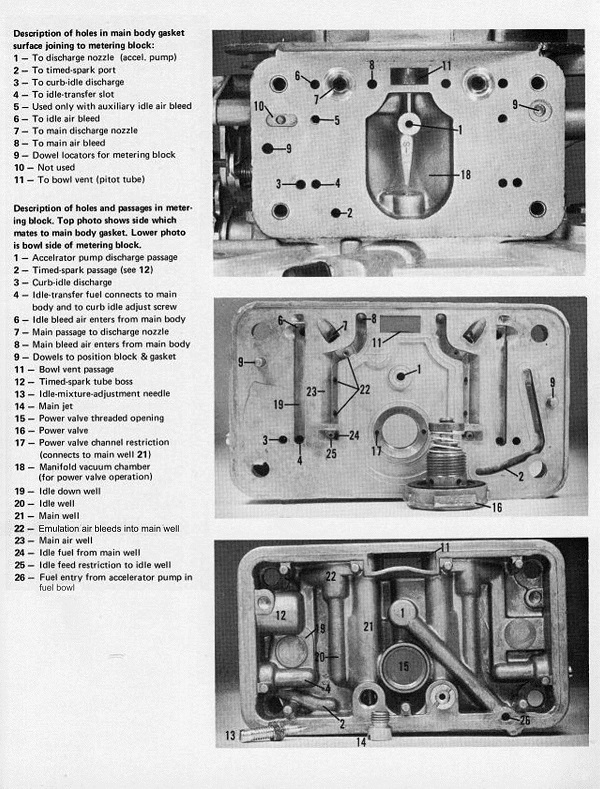 When I still experienced a dead flat spot on full throttle from idle or low RPM's, I read technical articles on the Holley carburetor. 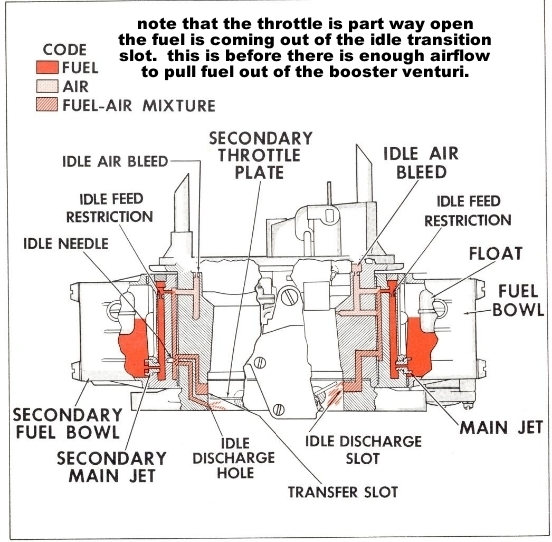 A dead spot from idle or part throttle to full throttle, especially if the flat spot is accompanied with a back fire through the carb is an indication of an overly lean fuel/air mixture or insufficient fuel delivery during wide open throttle, or "WOT". A racing buddy suggested that the "squiters" were too small and not providing enough fuel during the transition from idle/part-throttle to WOT. He also noted that the secondary valves were not opening at any RPM. The Holley carb had .31 squirters so I bought the next size up (.35) and installed them in the carb. The engine bogged terribly so I put the .31 squirters back in. Next, I installed a "quick change" secondary vacuum valve/spring mechanism. 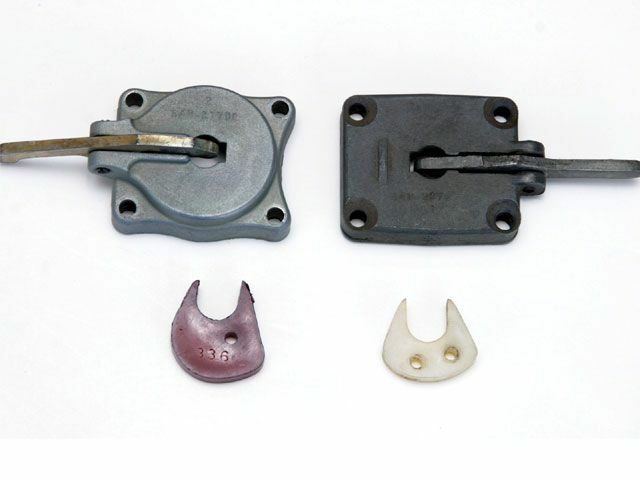 The stock mechanism requires a fair amount of time to disassemble and replace the secondary vacuum springs with springs of different tension and operating ranges. I found the crate engine Holley carb came with the strongest spring available that never allowed the secondaries to fully open. If you want to have some inexpensive fun trying to improve your mid to top end response, I would recommend that you buy this quick change secondary vacuum kit and experiment with the 7 or 8 different springs that you can purchase in a separate kit. 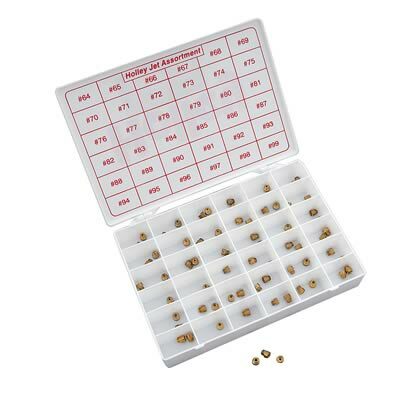 You really can dial in good performance in a matter of a couple of hours - if you have the quick change kit. Well, I ended up with a spring that was two steps lighter and faster responding, but this did nothing to help the dead spot off idle/part throttle. My next step was to switch the vacuum hose from the distributor to every known vacuum port I could find. I thought that I may have a vacuum or timing problem so I spent hours switching the vacuum hose and taking test drives to measure the change in performance. No improvement in idle/part throttle response. The next item I attacked was the adjustment bolt on the accelerator arm that presses against the power valve actuating arm on the left front side of the Holley carb. 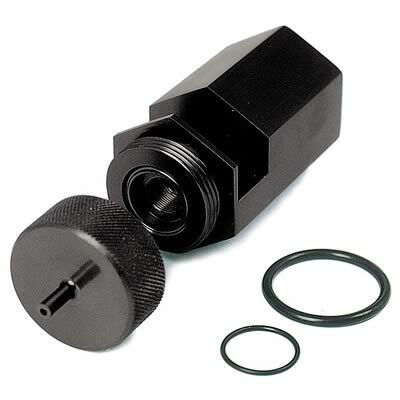 You can adjust the length of the bolt by tightening or loosening the adjustment nut. I tightened and loosened this darn nut/bolt set-up and sometimes it would help and other times it would be worse, but nothing corrected the backfiring through the carb and the flat spot response. I then read an article that suggested a 50cc accelerator (power) valve would solve the off throttle flat spot. The kit cost $44 and basically is a larger reservoir of fuel to squirt into your carburetor when you transition from idle to running throttle. I hesitated installing this unit as the 30cc volume of the stock accelerator valve should be sufficient for the crate engine V-8. I decided to review other options. 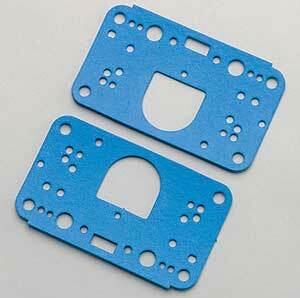 I read about the different profile plastic cams that Holley carbs use and thought I would experiment with these. I swear Holley makes more money on these various carb tuning kits and parts than they do on the carb itself. After removing the stock orange cam from the throttle linkage and examining it's profile, I discovered that it had two mounting holes marked "1" and "2". By the rub marks left on the cam from the actuator arm on the carb, it appeared that the cam could be reversed to have the steeper and more aggressive side of the cam actuate the arm that in turn presses the accelerator arm that presses the accelerator pump valve that squirts raw fuel into the primaries during the transition phase from idle to throttle. At the same time, I thought I would replace the #65 main jets with something a little less restrictive, so I installed a pair of #67's. One last adjustment I made was to eliminate any gap or slack between the bolt on the throttle actuator arm and the accelerator pump actuator arm. I figured that if there was any "slop" or gap between these two pieces, the throttle would begin it's opening without making contact with the accelerator pump valve actuating arm ... this would cause a delay in delivering more fuel during the initial opening of the primary valves and this would produce a lean mixture, backfire and stumble. After installing slightly larger main jets, adjusting the throttle cam to a more aggressive slope/timing and eliminating the slop between the throttle actuator arm/bolt and the accelerator valve pump arm ... the engine ran fantastic. NO stumble. No back fire through the carb. No hesitation in acceleration from idle/part throttle to WOT. 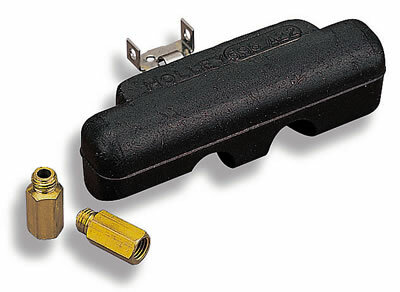 If any of you are having trouble with flat spots & backfiring with your Holley carb, you might try the simple adjustments that are easy to do and don't cost much. The main problems I had were an incorrect throttle cam and a poorly adjusted contact between the throttle arm and the accelerator pump (or "power valve")actuator arm on the Holley carb. I returned the $44 50cc accelerator pump valve. The pair of main jets cost $6.44, but I probably didn't need those. The cam adjustment made the biggest improvement and that was free - just flip it over and use a different mounting hole. And finally, adjusting the actuating arm was very helpful and cost nothing. So before you give up or spend allot of money chasing Holley carb problems like mine, try the simple and inexpensive adjustments before you invest in expensive upgrades. Hope this helps. 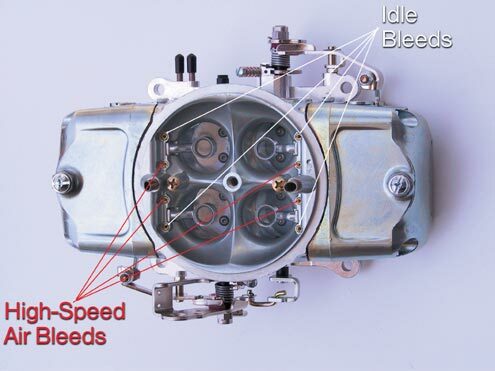 carbs generally cover up sudden increases in air flow such as stomping on the throttle to WOT from idle with a long shot of fuel from the accelerator pump and power valves adding extra fuel, neither one is a precisely metered response. now I use a vacuum gauge a timing light, and an IR temp gun on the headers along with the data from reading the plugs and the a/f ratio sensors, each adds to the indications of whats going on, yes you can achieve a 14.:1 ratio and get the engine to run decently, but in most cases it will tend to run better in the low 13:1 ratio range during transitions and about 14:1-14.7:1 during cruising simply because theres always a tendency to go lean during sudden transitions with most carbs. 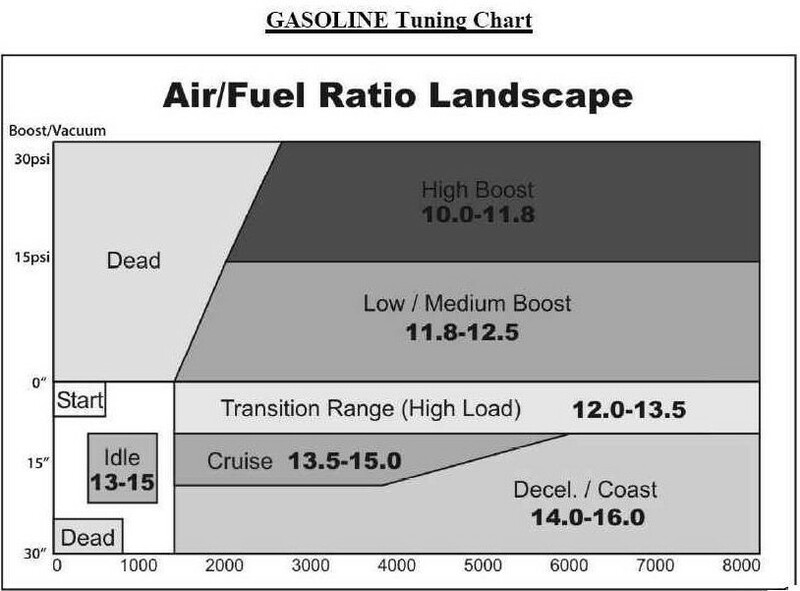 BTW use a 190F T-stat and an extra electric fan that comes on at 200F to keep the engine coolant temp stable, try to keep the oil temp in the 215F-220F range if you can,to burn off moisture that can form acids over time in the oil, and the fuel pressure stable at about 5 PSI,, have no more than 1-1.5 psi of back pressure in the exhaust at WOT, it makes tuning far easier, make sure the ignition timing curve is smooth & consistent, and do a leak/down test and adjust the valves, do a vacuum leak test, check the oil pressure,and fuel filter, to make sure your not working with mechanical problems. 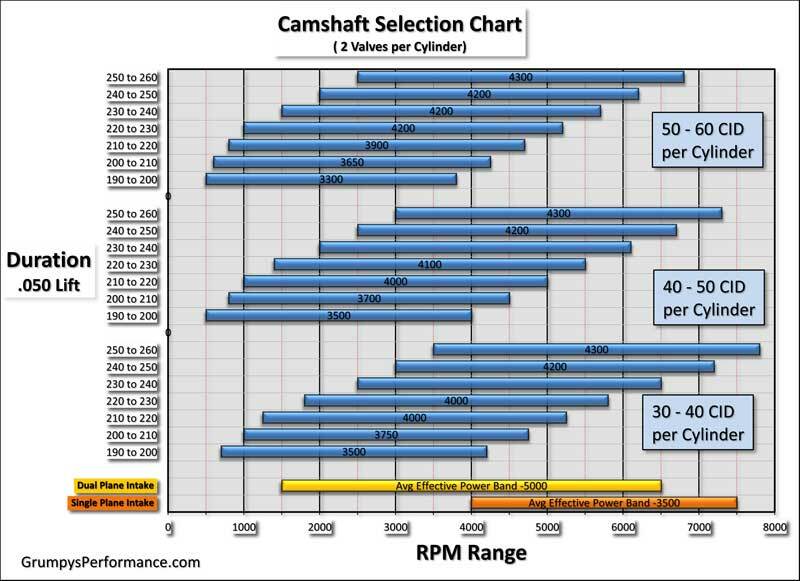 on most Chevy v8 engines that run cams designed for street/strip use Ive generally found a advance that goes from about 8 degrees at idle speed (800-900rpm in most cases) and smoothly advances the ignition to about 36 degrees or about 28 degrees advance from where it started at to reach 36 degrees at about 3200rpm , is generally a good place to start, or about 82 degrees advance per hundred rpm, you can then play with the engine and determine what changes MIGHT be required. Ok Ive got one and have tested several of them. heres my take on them, short answer, they are a big help but a P.I.T.A. to set up and use if your not going to semi permanently install them on your car. 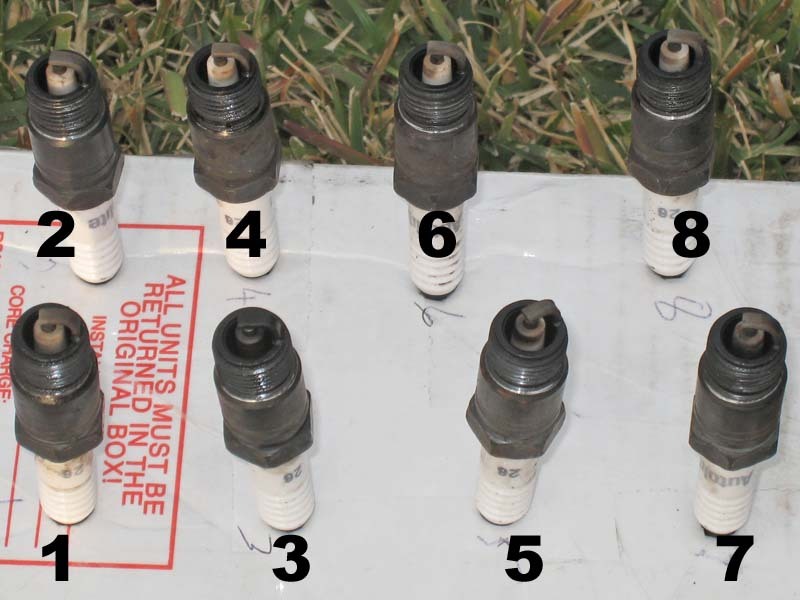 a fuel air meter uses a o2 sensor, if you place it in the header collector it gives an AVERAGE of all the cylinders on that cylinder head,If theres an (X) installed close to the dual collectors reversion pulses can occasionally even give data from the other side of the engine, so in theory and in practice you can have two cylinders run lean and two rich and the AVERAGE tends to look RICH to the O2 sensor as it SEES unburnt fuel, if you place it in the individual primary header tubes you either need eight O2 sensors (VERY EXPENSIVE, and keeping the wires from burning or grounding outs a TOTAL P.I.T.A......IF you don,t succeed you destroy the O2 sensor and need to replace it.) or you need to be constantly swapping very hot and fragile O2 sensors and bung plugs constantly, but with the IR thermometer you can almost instantly see which cylinders are running hotter or cooler and adjust the jets or look for vacuum leaks, or other CAUSED for the TEMP DIFFERENCE, ETC, far faster too get all the cylinders running at approximately the same temp, indicating the same fuel air ratio, youll be amazed at how close the temp follows the fuel/air ratio, and you can confirm it with plug condition and the other test equipment. run any cylinder too lean and detonation can break rings or melt pistons, run it too rich and you can wash the oil off the cylinder walls and ruin rings/scuff pistons, you need to know whats going on in EACH CYLINDER not the AVERAGE of all cylinders. SO, if your going to install a decent wide band fuel air ratio meter on your car thats fine, its going to be an asset to your tuning skills, if you install the indicator/gauge inside the car and weld in a couple extra bungs in the collectors for tuning and wide band O2 sensors which are a big help, but you will quickly find that its a P.I.T.A. 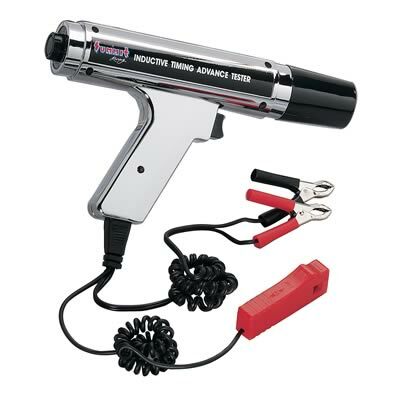 to use it for tune ups on all your buddies cars with the welding collector bungs and installing plugs and O2 sensors while the IR thermometer route is fast and very simple and you can confirm with plug reading the condition of the engine. 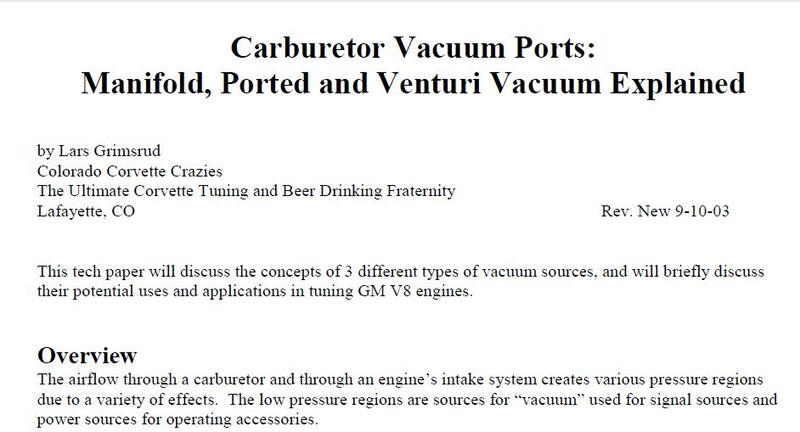 the fuel/air ratio is only one factor, the intake runner placement in relation to the carbs venturies and the vacuum reading in the plenum and the rate of change in that vacuum during any transition from the primaries alone to all four venturies will effect the results, as will the accelerator pump shot volume and duration. Ive tuned both carb designs for many years and while both can provide both decent economy and peak hp I,d be surprised if you find many people that can tune a q-jet to smoothly transition at mid throttle under all conditions as smoothly as a good Holley or demon, its just easier to tune 4 nearly identical size venturies ,that transition smoothly as to the air pressure changes in the plenum that are roughly centered over a plenum,than two sets of vastly different cross sectional venturie areas, that rapidly reduce the vacuum in the plenum and use a large volume of fuel from the accellerator pump circuit to compensate.now obviously a slow transition from just the primaries to w.o.t. allows both designs to compensate reasonably smoothly, but go from cruise to w.o.t. by stomping on the gas pedal and theres a difference in the metering quality of both designs and how they maintain the plenum vacuum and f/a ratio. 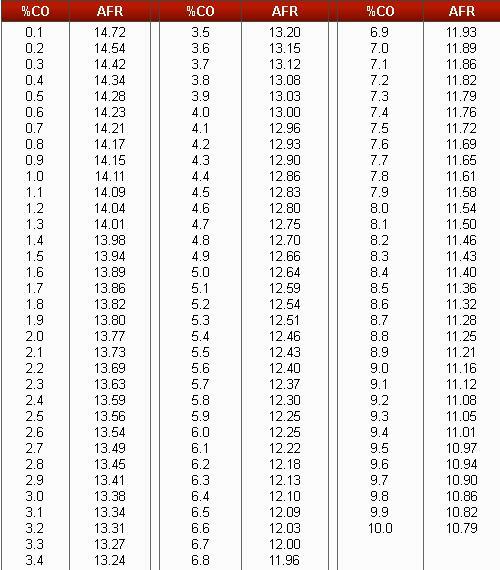 if you read thru the link above, very carefully youll find the 750cfm -to 830cfm carbs made the best average power, on that 383 sbc, so if we average the results lets say an 800cfm might have been near ideal. but the truth here is that a skilled and experienced engine tuner can get a 950cfm or a 750cfm carb to work remarkably well on either the 383 0r 454 engine. 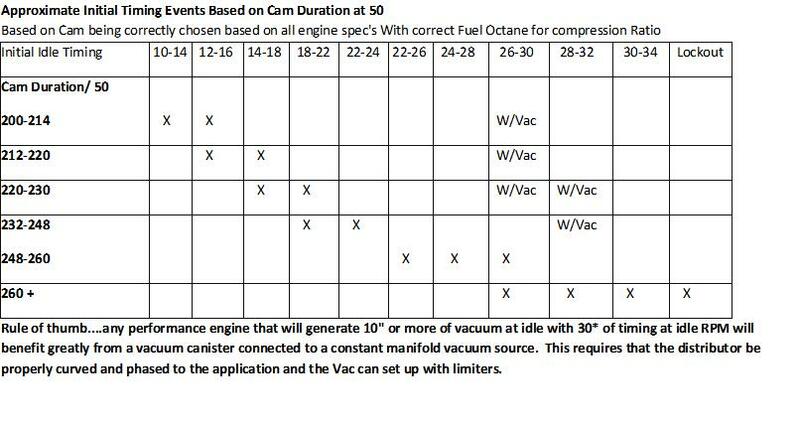 that 2.09 cfm per cubic inch of engine displacement will get you "in the ball park" but its your ability to tune the carburetor to match the application , far more than the rated carb size thats much more critical to matching the carb to the engine. QUESTION How do I adjust the fuel level on my carburetor? ANSWER Setting the fuel level should be the first thing you do before attempting to make any further adjustments.The float level should put the fuel level just below the bottom of sight plug hole. You will make the adjustment with the vehicle on a level surface and the engine idling. 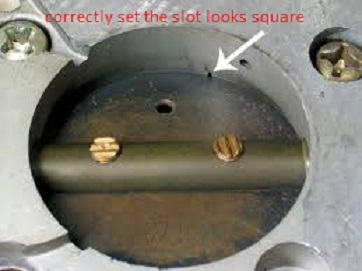 You will first remove the sight plug, then to make your adjustment you will need to loosen the lock screw on the needle and seat. 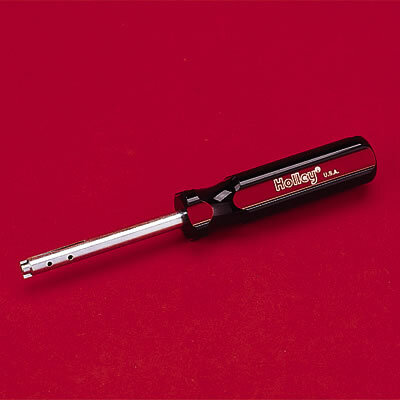 This will allow you to turn the adjusting nut to raise or lower the float level. Each hex flat on the nut will change the float level approximately 1/32". When you have the fuel level just below sight plug hole you will then tighten the lock screw and reinstall the sight hole plug. Make sure you have a shop towel handy in case you have any fuel leaks from the Sight plug or needle and seat adjusting nut. yes there ARE some aftermarket manual fuel pumps that produce 15 psi that will flood a carb, without a fuel pressure regulator with a return line design, in use. 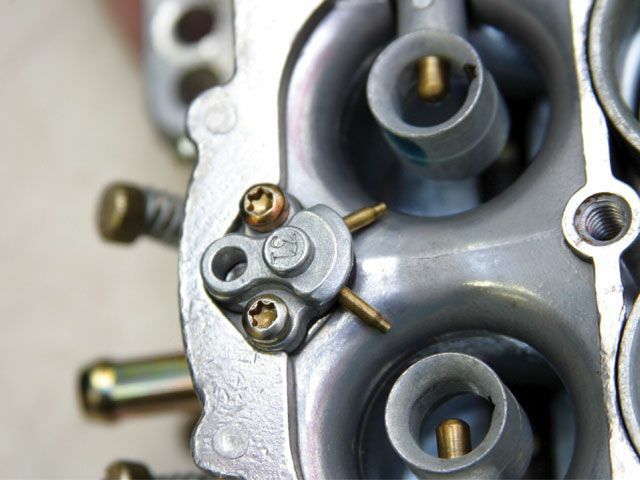 YOU CANNOT JET OUT A MOMENTARY LEANNESS CAUSED BY AN INSUFFICIENT FUEL SUPPLY IN YOUR CARBS FUEL BOWLS, THE WRONG POWER VALVE,OR ACCELERATOR PUMP CAM, or the CARBS TRANSITION CIRCUIT THAT WILL NOT SHOW UP IN A NORMAL PLUG COLOR READING. !!! If you want your engine to start up easily,you start with a nice hot blue spark at the spark plugs and the correct ignition timing curve, for that in most cases youll need a good alternator, battery with at least 13.5 volts and a decent electrical ground, you might want to keep in mind cool gasoline, as a liquid doesn,t burn well at all, its gasoline vapor mixed with air thats extremely flammable,and its heat that tends to aid vaporization, and to get fuel to form a vapor you need either high pressure in the fuel system to form a mist spray like an injector, does in the intake runners or high air speeds, and high compression ratios to build that heat on the compression stroke,and a strong ignition that promotes the mix to ignite, resulting in a rapid increase in engine heat, or some other method of increasing the engines ability to mix cool fuel in liquid form into the air flow to form that easily ignited vapor. 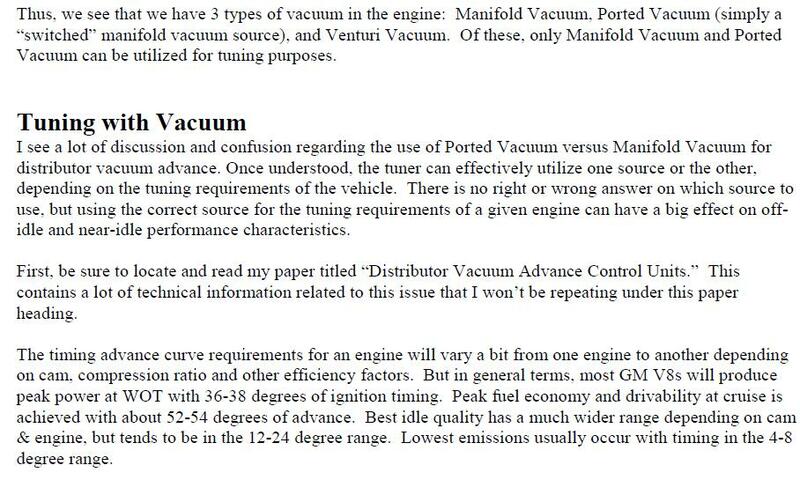 once an engine kicks over it spins faster and as the air flow thru the ports increases so does the percentage or amount of fuel that forms a vapor and that results in more heat generated, its a cycle. How to tune a carb with a vacuum gauge. 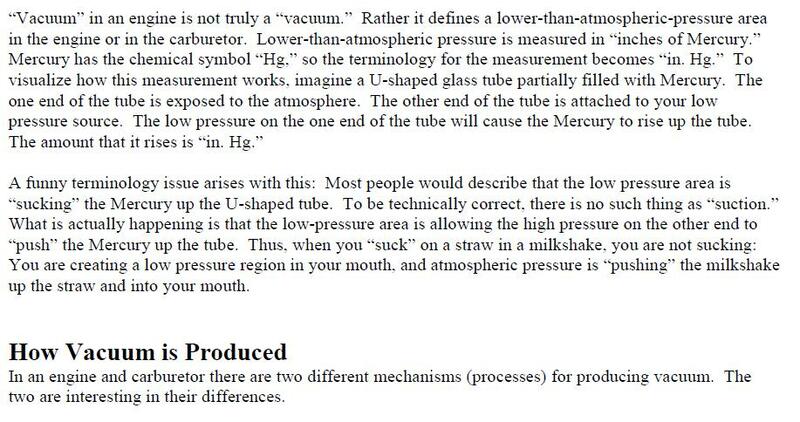 How to interpret a vacuum gauge. but start by getting the ignition advance curve consistent. then verify your getting both constant fuel pressure and volume, as a drop in either can cause problems. maintaining a rock solid and consistent fuel delivery is a frequently over looked issue. first youll want to verify theres no vacuum leaks,youll use a un-lighted propane torch not any flammable sprays as its far more precise, as you can stick the torch tip exactly where you suspect leaks,and it less messy and leaves no residual crap on the engine. Do not use 1/4" - 3/8" o.d. lines on a racing fuel system between the fuel cell and the pump. Racers often joke about their first race car and how the fuel line was so small it functioned as the main jet. Ensure the fuel is supplied through lines that are of the correct size for the application. Remember fuel line size is determined by the system, not the vehicle! Push-Lok, stainless steel braided hoses, and aluminum tubing are the most common fuel lines used on race cars. Avoid forged 90*elbow fuel fittings as much as possible. 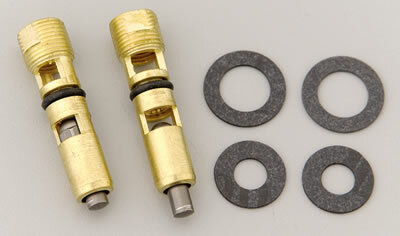 Although they are inexpensive and readily available, they're restrictive and frequently cause fuel flow troubles. Hose ends with angles of 90* & 45* should also be avoided if possible. Nonetheless, should it become necessary to use one, use radiused hose ends (90* bends) as they have much better rates of flow. 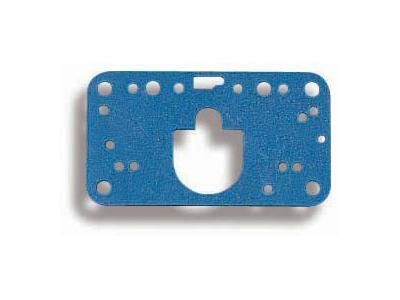 They're manufactured from aluminum, equipped with swivel ends for a positive seal and are easy to install. An alcohol fuel system differs from the gasoline alternative in several crucial respects. 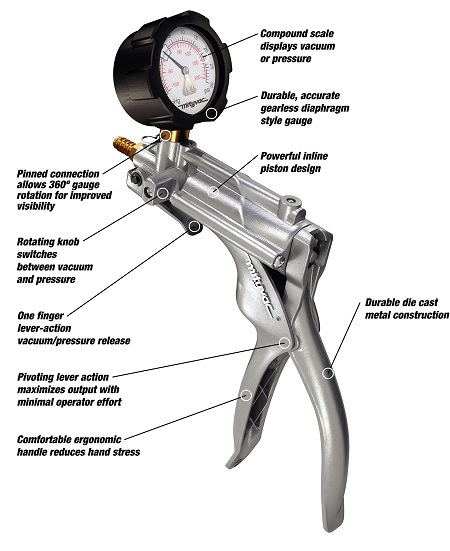 Fuel pressures in a gasoline system are typically maintained between 7- and 9-psi throughout the rev range, whereas alcohol carburetors require low pressures of around 4- to 6-psi at idle and 9- to 11-psi at fully open throttle. 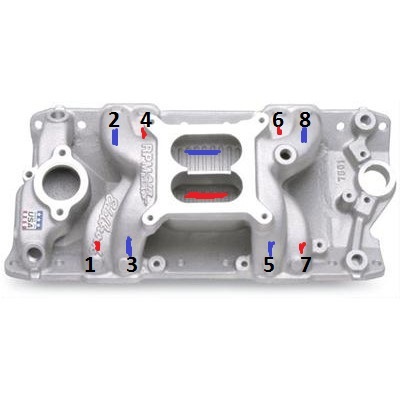 This is necessary to prevent the carburetor from flooding at idle and under light engine load, yet maintain the extra volume necessary for maximum acceleration. Engines producing around 500-hp can be fueled with a 15-psi mechanical pump in conjunction with a throttle bypass valve. However, for engines over 500-horsepower, a belt-driven system with a diaphragm valve, or poppet bypass should be considered. 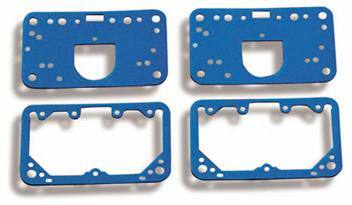 For overall reliability and performance, a belt-driven system is usually the better choice. 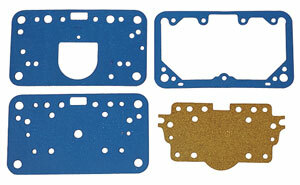 When using a diaphragm bypass, BG Fuel Systems recommend it be installed close to the carburetor for faster response. Throttle bypasses were designed to operate with block-mounted pumps and, similarly, diaphragm bypasses with belt-driven pumps. Never use a throttle bypass with a belt-driven pump - they must function in pairs and are not to be mismatched. Fuel filters with conventional paper elements must not be used with alcohol. Because alcohol absorbs water, the paper and the bonding materials deteriorate quickly. As a consequence, particles can enter the float bowls, or get stuck in the needles-and-seats and main jets. Further, it's equally important on alcohol applications, to avoid filters with inadequate flow rates, and inlet and outlet sizes that are too restrictive. 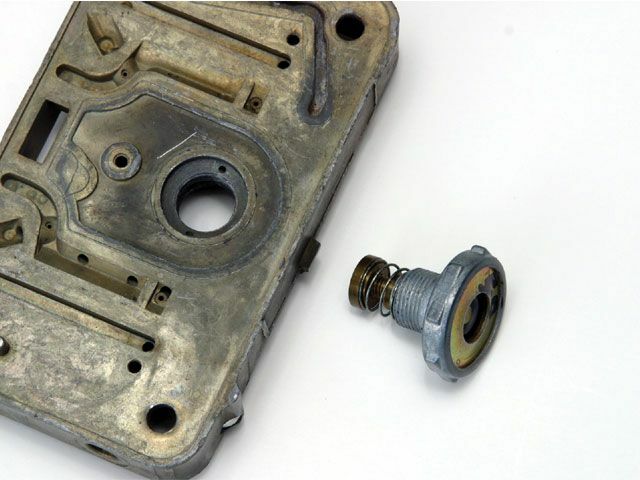 Although alcohol fuel additives can help prevent corrosion and provide lubrication for pumps and other components, alcohol can severely corrode metal objects, especially aluminum, if allowed to remain in contact too long. 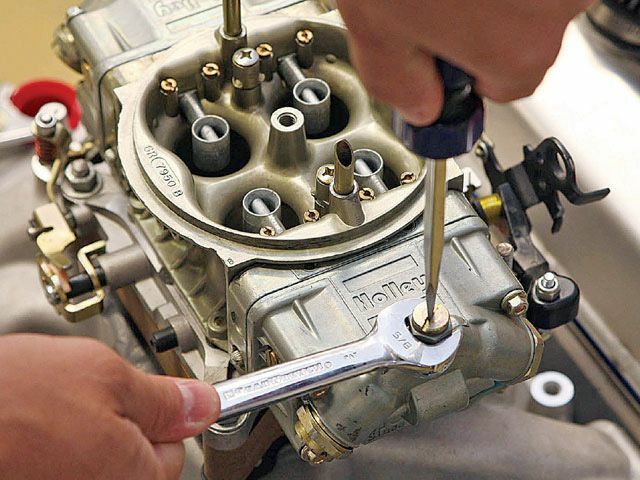 There is no substitute for a strict maintenance program, it will not only prolong the life of the carburetor and fuel system, but also keep it trouble-free. Alcohol will naturally absorb water from the air. This not only dilutes the fuel, but also adds to the corrosive effects of alcohol. After every race, the alcohol should be drained from the race car and stored in air-tight containers; a vented fuel cell is not considered an appropriate storage container. The fuel system and carburetor should also be thoroughly drained and flushed of any residual alcohol. Some racers will add gasoline to the empty fuel cell and run the engine until they are certain the carburetor is filled with gasoline. 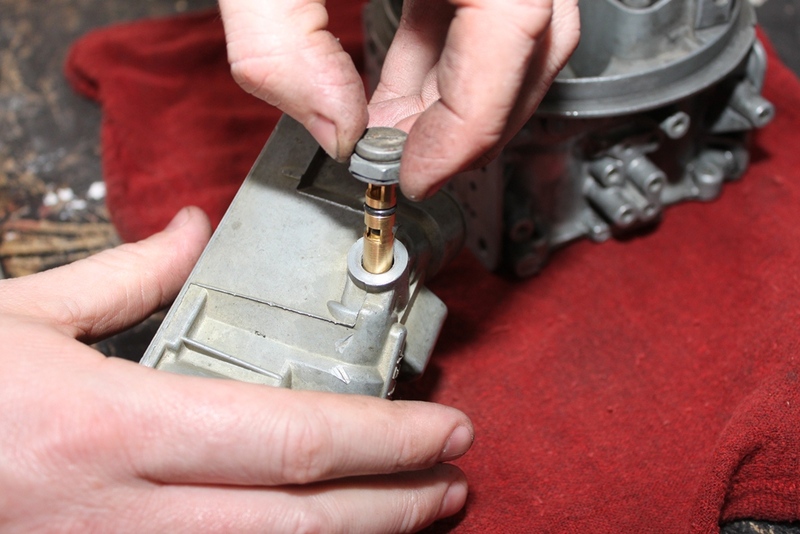 Other methods include removing the carburetor and flushing it with a cleaning solvent or lubricating aerosol sprays. Removing inlet and outlet fittings from the pumps, bypasses etc. and lubricating the internals is also an acceptable practice. Whatever the method, maintenance on an alcohol system is crucial; ignore it and the system will fail. Race engines rely on receiving air as well as fuel, but are frequently starved by the use of thin, small-diameter air filters that are detrimental to their performance. If possible, use a filter that is 14"diameter x 4"tall. 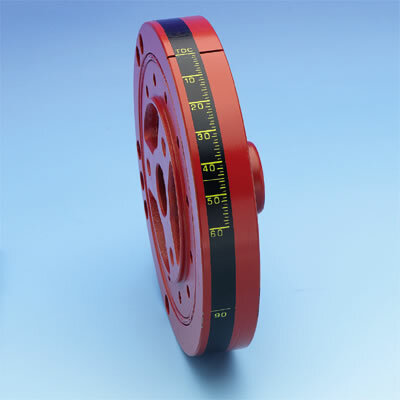 If clearance is at a premium get one with a recessed pan, which allows for deeper filter elements. Get a good quality air filter. If you're constantly cleaning lots of dirt from the surface of your race car the chances are your air cleaner is struggling to filter the dirt and debris from your engine. Modern military-spec foam-filled fuel cells, are compatible with conventional fuels, racing fuels and alcohol. However, alcohol can cause the foam to deteriorate and it must be renewed once a year. To check the condition of the foam, simply remove the cap and pinch it between finger and thumb. If pieces come away the foam must be replaced. Make sure that, at wide-open throttle, the butterflies of the carburetor are fully open. Use a minimum of two, good quality return springs - preferably of stainless steel and employ them, if possible, in two different places on the linkage. Ensure the linkage and the return springs operate without interference throughout the full range of throttle travel. 10 Failure to use an adjustable pedal stop. It's amazing to consider the large numbers of race cars that have no form of throttle-pedal stop, and inexcusable that so many are permitted to compete. 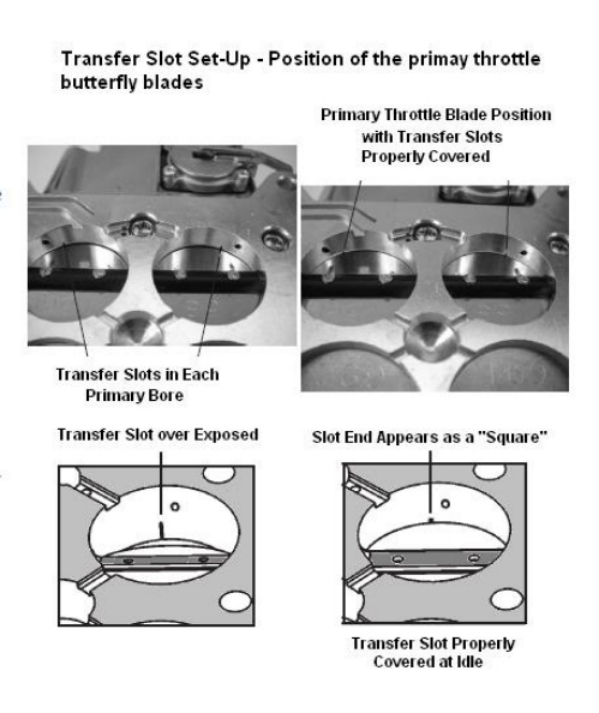 Excessive loadings on the linkage, carburetor shafts and butterflies can cause the mechanisms to distort and jam, and the consequences are usually grim. 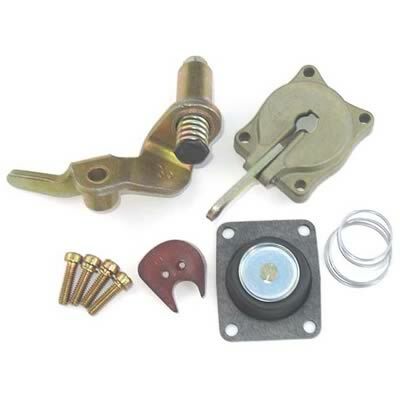 To avoid the inevitable, use an adjustable pedal stop and, at the fully open throttle position, synchronize the stop on the carburetor with the stop on the pedal. 11. Not having the proper size of carburetor for the application. 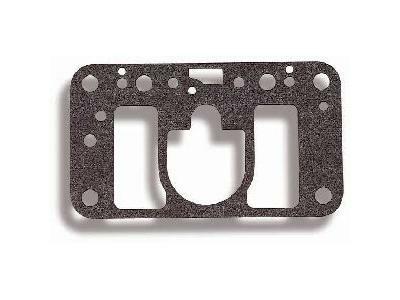 Having the proper venturi sizes for a given application ensures the carburetor generates sufficient air speed. Air speed creates the necessary depression (low pressure) to draw fuel through the metering systems and booster venturii into the air stream to be atomized. The Race Demon, which is equipped with removable venturi sleeves and boosters etc., overcomes most of the sizing problems. 12. Inadequate fuel cell venting. If the fuel cell vent is too small the fuel system can malfunction. In extreme cases, inadequate ventilation can cause permanent damage to the system. As the fuel pump draws fuel from the cell it needs to be replaced by air. If the vent on the cell is too small the pump will try to draw the fuel from the cell faster than the air replaces it. This can create a vacuum in the cell, distort its shape, and starve the pump and engine of the fuel it requires. 13. Filtering of fuel cell vents. Just as an undersized vent will adversely affect your fuel system, not having a filter on the vent will cause dirt and debris to enter it. As air replaces the fuel, the vent hose will attract anything that's in the air, including dirt, sand, or debris. These particles will eventually destroy a fuel system as well as an engine. 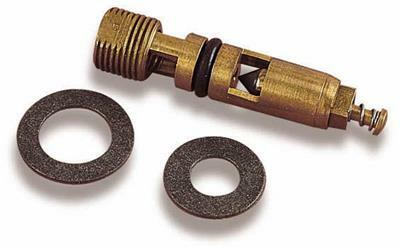 To protect the fuel pump and carburetor, use a good filter before the pump, and filtered fittings at the carburetor. Steel braided fittings and aluminum fittings have a life cycle. 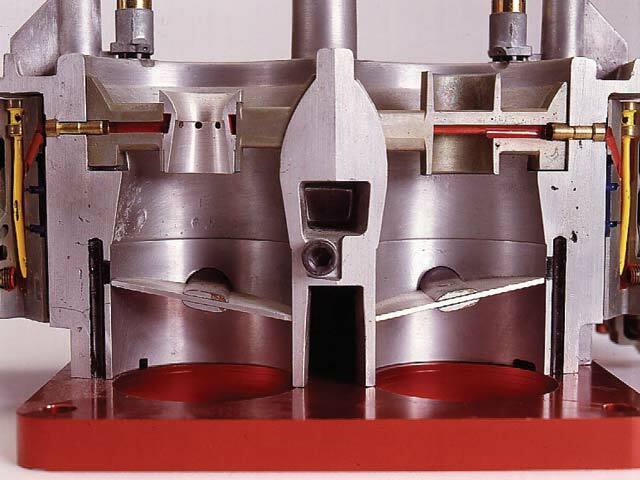 Over a period of time, the rubber bore will deteriorate causing the line either to collapse and starve the engine of fuel, or disintegrate and possibly block the passage. Radiator hoses and fan belts are routinely replaced and so, too, should fuel system components. 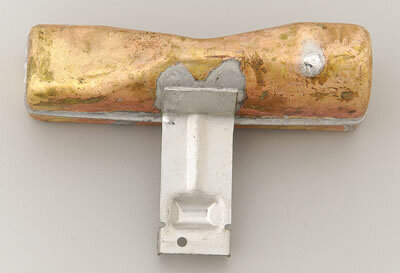 Aluminum fittings will wear out over time and fail to seal properly. 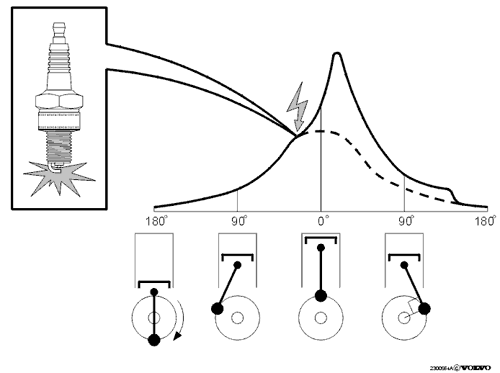 From a safety and performance standpoint regularly check the lines and fittings. Try to detect soft or weak spots by feeling the outside of the lines, and visually inspect the internals each season. Keep the connections tight. On cars equipped with electric fuel pumps, use a relay to ensure the pump is provided with the proper voltage in order to maintain proper fuel flow. 383 x 6000 / 3456 x .85 = 565 CFM. that indicates 650 CFM is all a stout 383 will ever need. 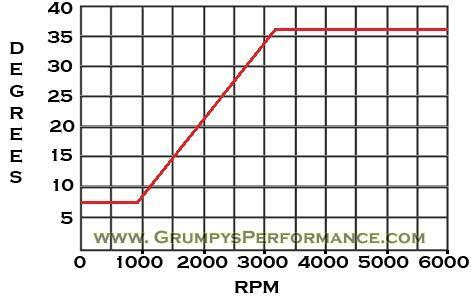 By going to a 750cfm, you give up some better peak hp and slightly reduced throttle response due to the larger primary bores. 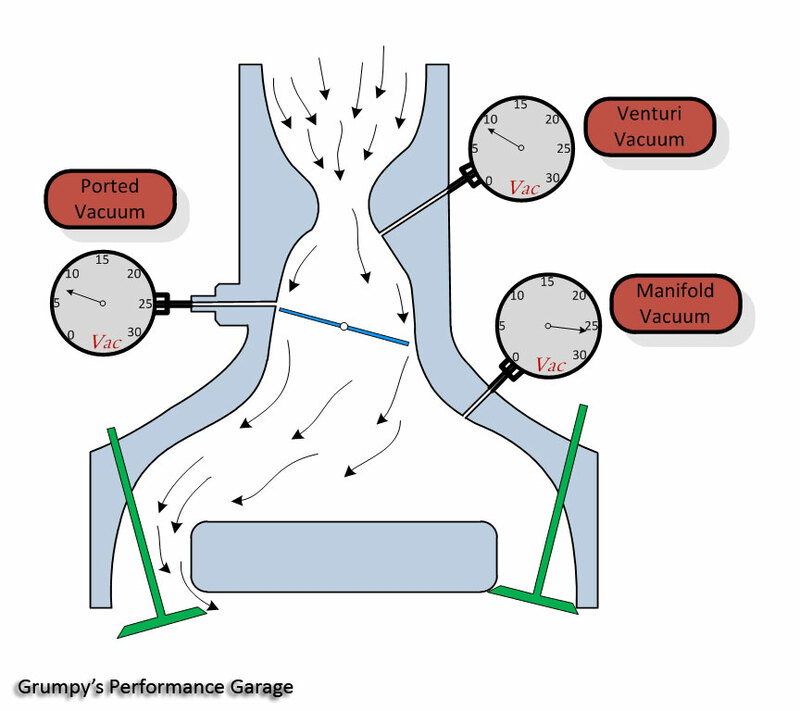 the formula would be just fine if the engine was 100% efficient and port flow in and out of the cylinders was at a constant air speed and the valves were not a factor, but theres a 720 degree repetitive cycle and ports generally flow only about 1/3 of that time, now divide the flow into a plenum and swap which port is running a negative vs a positive pressure about 30-60 times every second and you find true flow efficiency drops to the point where you need a good deal more potential flow capacity to match the engines requirements. 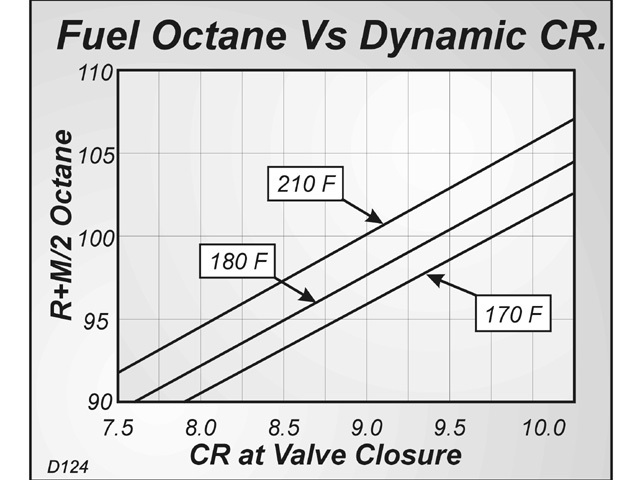 ever think of what those flow numbers mean on cylinder head flow charts, if for example the heads flow 260cfm at .600 lift and youve got 8 cylinders, it sounds like youll need almost 2100cfm of flow to keep up, but because the port only flows when the valves open and the flow rate changes with piston speed,port inertia, cam timing and exhaust scavenging,intake plenum and runner design, port reversion rates, altitude,etc. 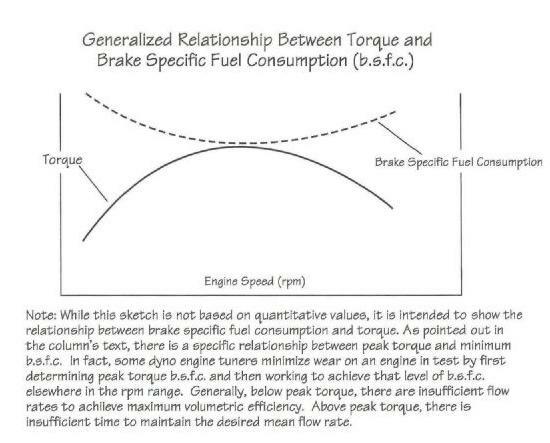 a simple formula can,t give you more than a semi-accurate guess as to the engine requirements. 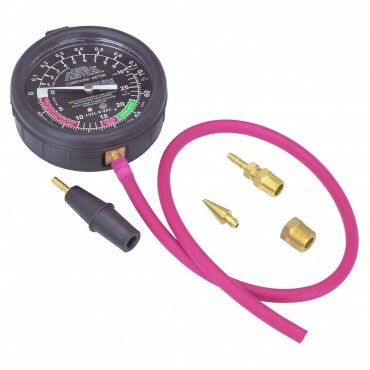 the best gauge IVE found is a vacuum gauge, if your pulling more than 1 psi of vacuum at WOT your more than likely going to benefit from a larger carb or a carb spacer or a different plenum design. 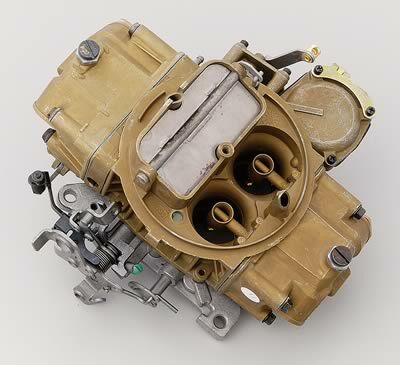 "A carbureted engine can produce just as much horsepower as a fuel-injected engine. The trick is tuning. 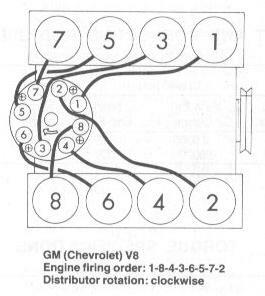 Probably the main advantage of fuel injection is its "tune-ability." 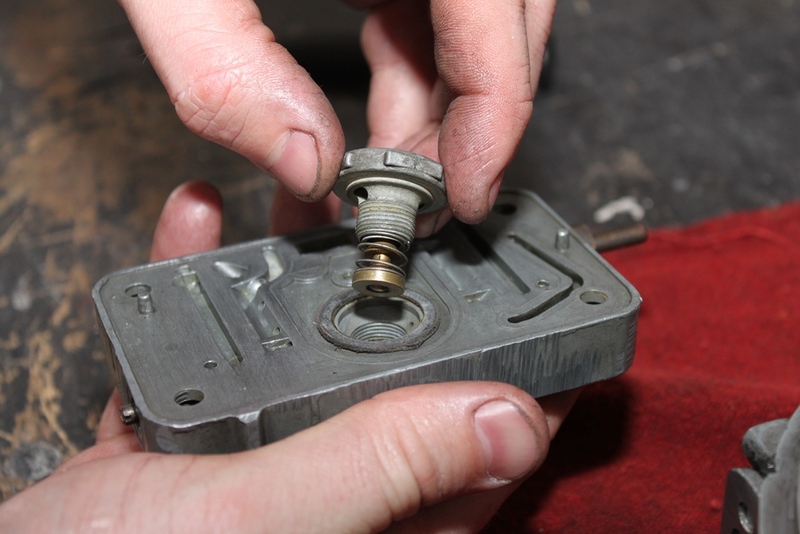 With an LM-1 air/fuel ratio meter, and a little knowledge, any carburetor is tuneable." I keep coming back and reading the sub-linked info, ITS amazing what Ive over looked the first time I read through! ,information, that I caught or missed the first time by reading thru the links a second and third time! 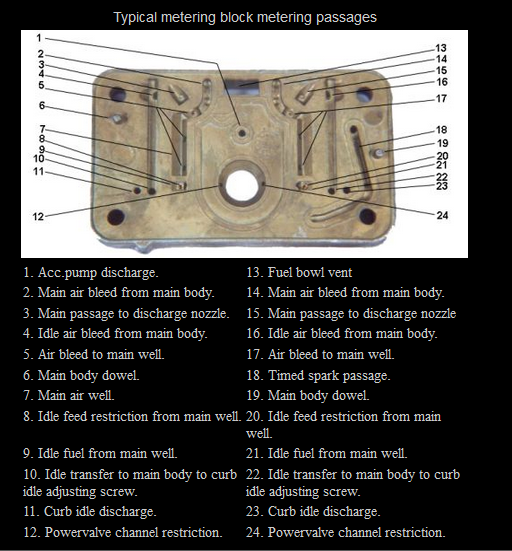 It took me several days to read thru the linked info and threads, the first time, on carburetor tuning. But it was NOT a waste of time by any means! Its absolutely amazing what you can learn by doing so! all rolled into a self paced flow chart, based school ,where you learn what to look for. It seems a times its an endless maze but once I started to understand much of the concepts its making more and more logical sense and its becoming easier to use the info now that I know what I'm looking for and what tools to grab to isolate and verify each system! I couldnâ€™t tune a piano if my life depended on it, but I have tuned a few engines in my career. The process of tuning is fundamentally the same for racing engines and musical instruments. 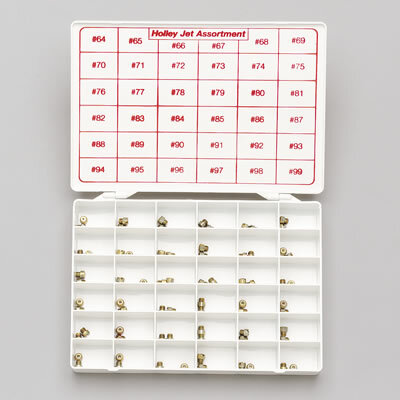 In both cases, you are making the final adjustments to a complex assembly of precision components. No one tunes a piano with a hammer, but sometimes I see racers take a sledgehammer approach to tuning engines. A carburetor is really an amazing device. 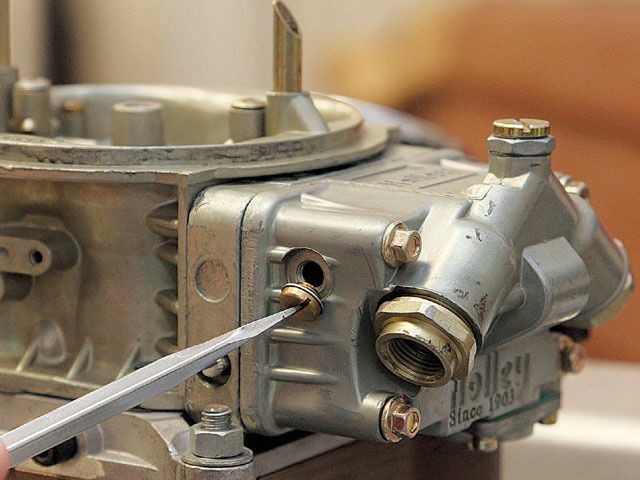 Yes, I know that carburetors have been around forever, and that fuel injection is the wave of the future, but Iâ€™m still impressed by how well a carburetor can adapt to changing conditions. 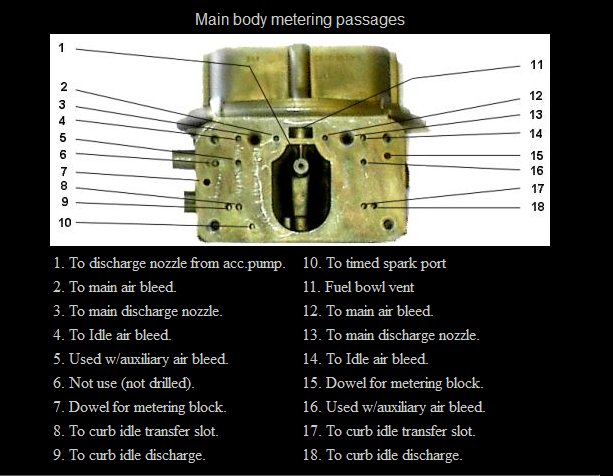 A carburetor operates on the principle of pressure differential. 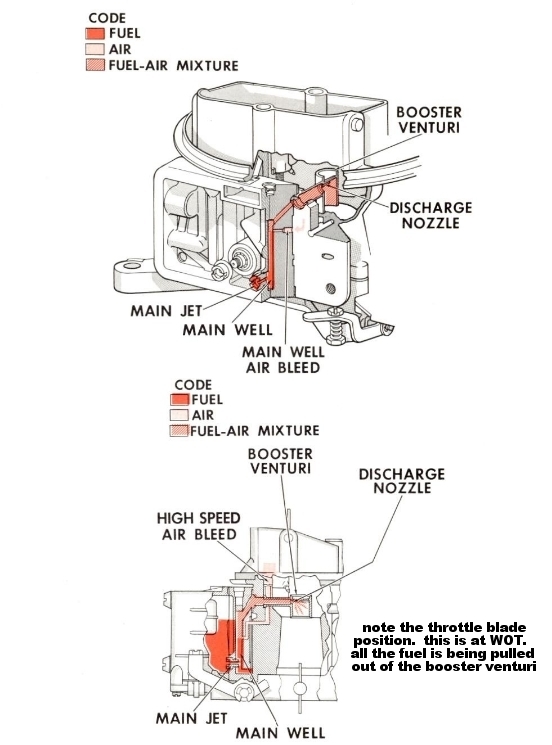 When the pressure in the venturi is lower than atmospheric pressure, the gasoline in the float bowl enters the airstream going into the engine. This beautifully simple system is self-compensating: when the barometric pressure or engine airflow changes, so does the fuel delivery into the engine. 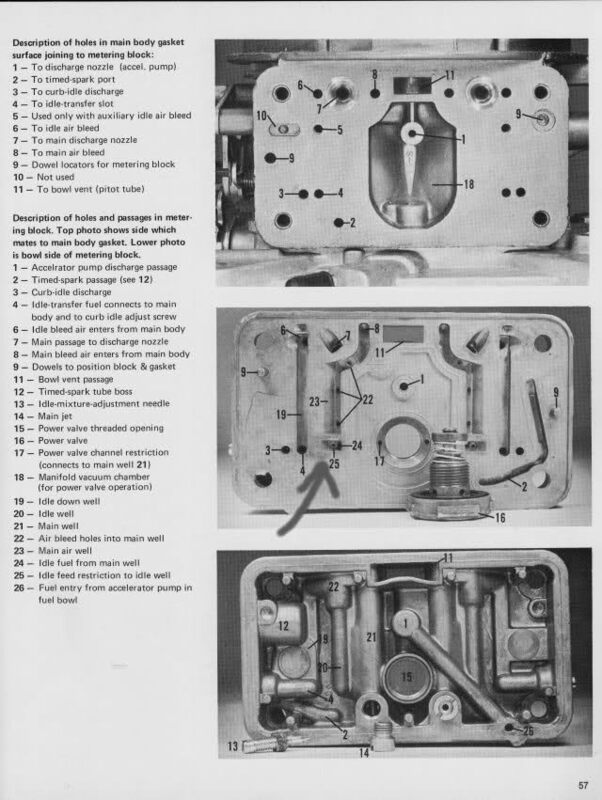 You may think that the self-compensating characteristics of a carburetor are adequate only over a small range of barometric pressures. The fact is that we run the same jets in our Pro Stock engines at sea level as we do in Denver. For years I just knew that we needed to change the jetting when we went to the Mountain - until the year we tested there with our sea-level tune-up. To my surprise, the engine ran best in Denver with the same jets that we use in Gainesville and Houston. How could this be possible? 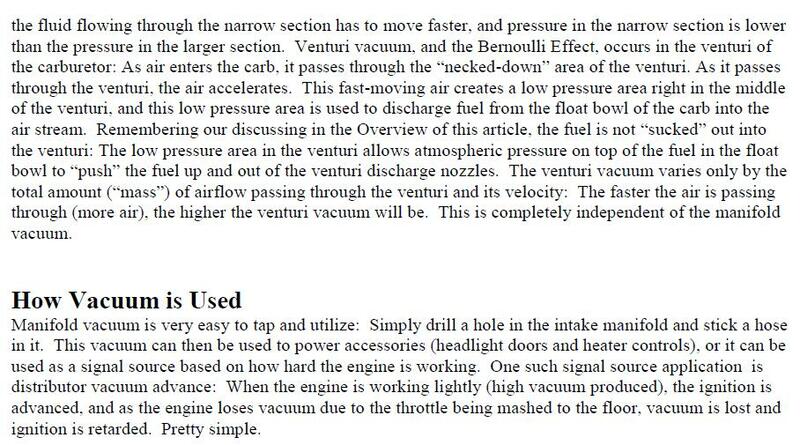 Because the carburetor only reacts to pressure differential, regardless of the absolute altitude. We might change air bleeds or squirters to tune the setup to a particular track, but the jets in our Pro Stock Pontiacâ€™s carburetors seldom change. If you feel that you absolutely must tune the engine, my recommendation is to start by richening the fuel mixture or retarding the timing. For years racers have been ingrained with the idea that you have to lean out the engine and increase the ignition timing to run fast. Itâ€™s the macho thing to do: Punish the engine to make it perform. Unfortunately, that approach is dead wrong. 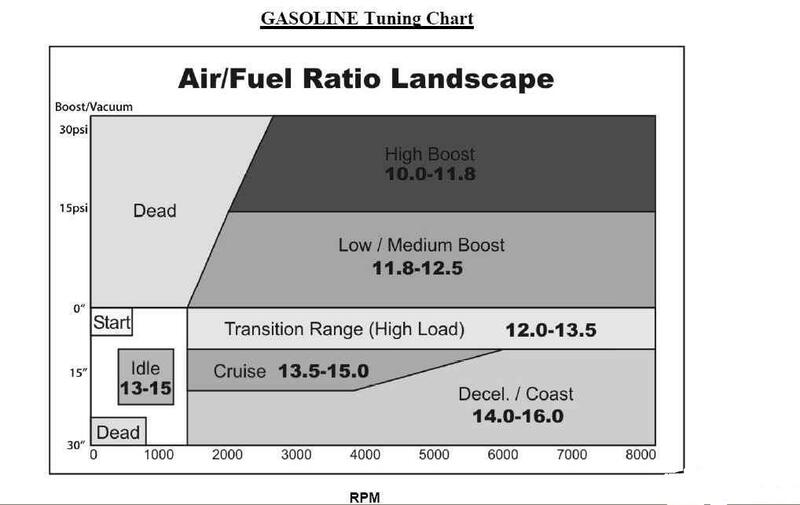 Think about what you are trying to accomplish when you tune an engine. The goal of internal combustion is to burn as much fuel as possible (thereby releasing maximum energy) while maintaining efficient combustion. Therefore your first step should be to richen the fuel mixture, not lean it down, to see whether the engine responds. 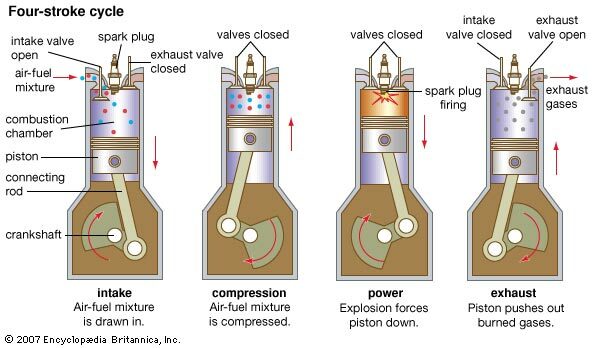 Similarly, you want to use as little spark advance as possible because it is negative work when the piston has to push against expanding gases in the cylinder. 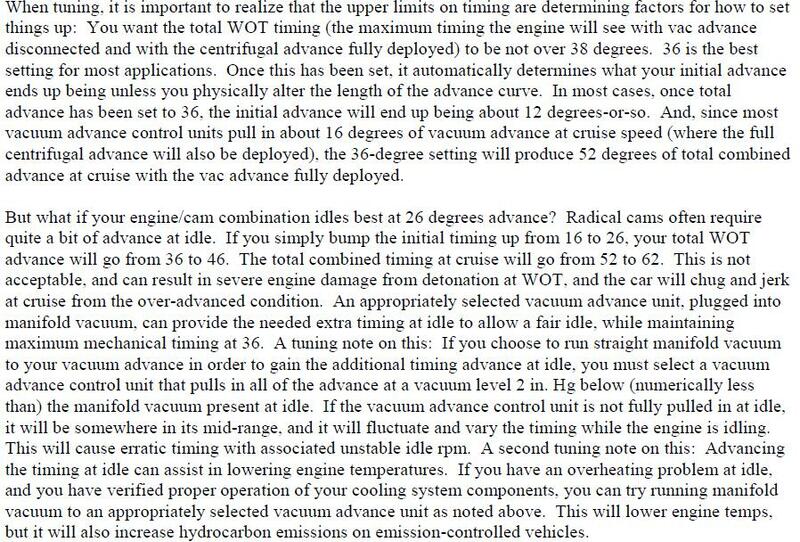 Thatâ€™s why your first step in ignition tuning should always be to retard the timing, not advance it. If you lean the fuel mixture or advance the timing far enough to hurt performance, itâ€™s likely that you have also damaged the engine. Detonation has dire consequences in a sophisticated, high-horsepower racing engine: You can pinch the ring grooves or knock the moly coating off the compression rings. 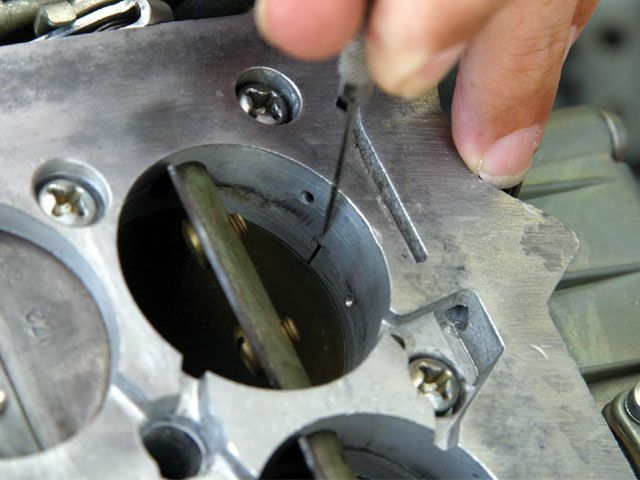 When the flakes find their way to the piston skirts, they will eat the cylinder walls. Thatâ€™s a high price to pay for an overly aggressive tuning change. Iâ€™m often asked what an engineâ€™s exhaust gas temperature (EGT) should be if itâ€™s tuned properly. I donâ€™t have the answer, because EGT is not an absolute number - itâ€™s only a reference point. EGT readings can tell you whether you have a dead cylinder, but they canâ€™t tell you whether the engine is tuned perfectly. EGT sensors are fragile, and their readings vary depending on how far the probe extends into the header pipe, how far the sensor is located from the exhaust port, and whether the probe has been contaminated by lead. Erroneous EGT readings can be caused by calibration errors, probe failures, bad grounds, and other faults. In short, tuning according EGT is inherently risky. Donâ€™t trust EGT until you have established a consistent baseline for your particular engine. And donâ€™t worry if your EGT readings are different from your buddyâ€™s; itâ€™s likely that your installations are different as well. heres a small tip you gain from experience, if your running a dual plane intake its got two different plenums and its not really uncommon for a carb to require the jets to be different sizes especially on the primary side of the carburetor because of the markedly different plenum volume and distance to the intake runner entrances. youll notice the dual plane intake is really two distinct intakes , effectively separating the carburetor into two separate 4 cylinder configurations. its not uncommon to find one batch or side of the intake running lean or rich, and it helps to understand that because at times youll find problems getting the engine tune correct that show indications that relate to only one plenum, but less experienced tuners fail to catch this early because its not related to only one side of the engine! Does anyone divide up the cylinder between the plenum differently or is this the standard practice? grumpyvette wrote: heres a small tip you gain from experience, if your running a dual plane intake its got two different plenums and its not really uncommon for a carb to require the jets to be different sizes especially on the primary side of the carburetor because of the markedly different plenum volume and distance to the intake runner entrances. Hey Grumpy, by experience do you know which side will leans out or richens up? does that side need a adjustment in jet size? 2008 Harley - Davidson Sportster 1200 Custom. If I can't smoke the tires I want more!!! think carefully, about the sequence of events,frequently guys apply the brake and throw the car in gear,the car stalls, so a few tests help,think logically, what changes as it goes into gear, you generally increase the load on the engine apply the brakes before placing it in gear,and may not notice changes in oil or fuel pressure or voltage which can point you to the problems source, I would plug the vacuum line going to the brake booster and try to throw the engine in gear, if it works with the line plugged your most likely dealing with a leak in the brake booster of feed line. Id hook a multi meter to the battery, and the alternator and watch for voltage changes as the cars put in gear. Id put the car up on sturdy jack stands and try putting it in gear, if the engine spins the rear wheels while in idle and or neutral the torque converter may be locked-up, or the clutch is not releasing, the trans may be locked up, need fluid, or the emergency brakes may be locked up on some cars,think things thru,investigate.